Enjoy the sweeping view of rolling meadow, sea and sky from this comfortable family home in Waterview Farms. This convenient location offers 3 bedrooms with master and second bedroom on the first floor and full living quarters on the lower level including a second kitchen and separate entrance that offers your guests or extended family full privacy. A large living room on the main floor with fireplace and open kitchen are ideal for entertaining, making this the perfect Vineyard house to use as your own or with its great rental history, a superb investment property. The private yard is surrounded by mature landscaping and acres of conservation land. Experience the serenity of this property while enjoying all of the Association amenities. Walk the trails on over 25 acres of private conservation land, enjoy the beach and dock, paddle your kayak to explore the 700 acre fresh water pond. Or simply start your days on the expansive deck watching the sailboats drift by on Nantucket Sound. 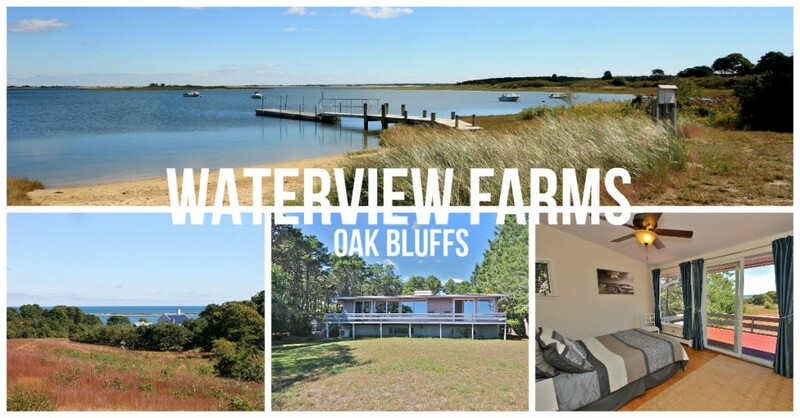 Waterview Farms is nestled between Farm Neck Golf Club and the Land Bank's Pecoy Point Preserve. First time ever on the market, this property is a must see!